For the millennial who can’t get enough of smooth, radiant skin, pick up the Frank Body box that includes a collection of three essentials in a beautiful vintage pale salmon bag with a string to keep snuggly in a suitcase when traveling. It includesMagic Shimmer Oil to make the skin glow with a subtle shimmer, a Facial Illuminator to “dab, blend, and brag” and a pack of “follow the call of the disco ball” Shimmer Scrub to smooth the skin. This is a box full of pampering essentials with an irresistible charm, and you can buy this Aussie natural, coffee-based line with a cult-like following at https://www.Frankbody.com. for the Beauty Maven on the go, snap up Kopari’s Flawless Face Kit, a travel friendly skincare kit with a Coconut Cleansing Oil, Coconut Rose Toner, and Coconut Face Cream to keep your face moisturized, balanced, and glowing from the amazing properties of coconut. Find this adorable gift set that will bring smiles and joy both in stores and online at Ulta.com or Koparibeauty.com. For your relative with tired skin and sagging spirits, the Waxing Tara Strength Tower will be regenerative, thanks to its uplifting citrus and spice scents in an original tower set that will attract wows. 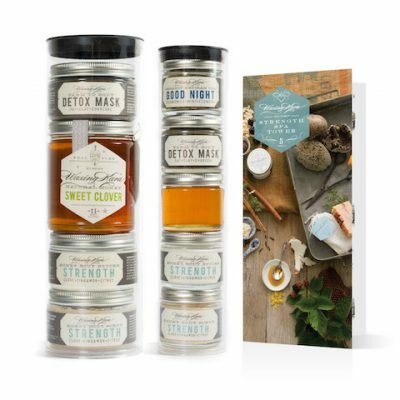 The Strength Scrub and Butter creates a skin barrier against the cold winter air, the cleansing Detox Mask provides antioxidants, the Sweet Clover Honey is raw, and the Good Night Tea will help you unwind. Inspired by bees, and made with the most wholesome ingredients, the Waxing Tara Collections are the perfect gifts for Mother Earth caretakers concerned about the contribution of bees to the environment! Find it at waxingkara.com/product/strength-spa-tower/ . Infuse your air with relaxing and calming scents throughout the day with a Gurunanda Aromatherapy Diffuser and Gurunanda Top-6 Single Essential Oils Set, which include lavender to soothe tension, cedarwood to ground emotions, eucalyptus to improve breathing, lemongrass to refresh the mind, peppermint to clear nasal congestion, and orange to uplift the spirit. 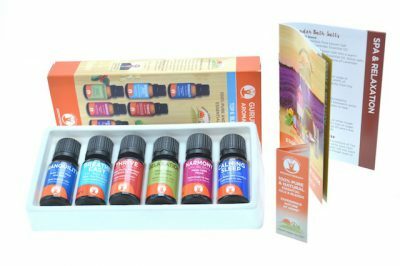 This gift will restore you with vibrant energy that clears the mind, relaxes the senses, and adds beauty to everyday moments. Read more about this rich collection at www.gurunanda.com.